Bear, a Labrador Retriever mix, showed up at my clients home one day and won their hearts immediately. Aside from chasing a car or two, his favorite place was on the front porch on his rug waiting for his owners to return home from work. 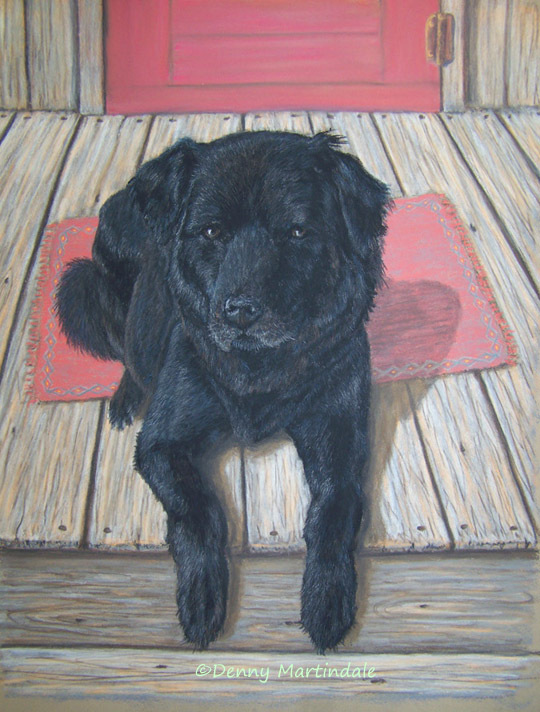 They cherish their memories of him with this 11" X 14" pastel pet portrait.